Ukraine's main military prosecutor Anatoliy Matios has said it will be exceedingly difficult for Ukraine to compensate for munitions destroyed at the Kalynivka arsenal in Vinnytsia region. 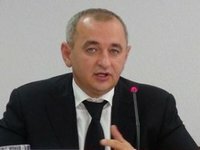 "In light of exceedingly large losses of ammunition over the past two years resulting from emergency situations or as a result of sabotage, it will be very difficult for the state to compensate for the losses of ammunitions costing billions of hyrvnias," Matios said on Thursday during a briefing in Odesa. Matios blamed the losses on the outdated system of funding and operating ammunition arsenals, which he said is the responsibility of the General Staff of Ukraine's Armed Forces.